Do you prefer feeling your way into putting puzzles rather gradually, or are you looking for a very special gift for someone, who probably will not be able to spend too much time or effort to put a personalised jigsaw puzzle? In that case, we recommend our easygoing premium jigsaw puzzle. With this boxed photo puzzle, you will have an original way to let your photograph come into play. Our 100 pieces jigsaw is the ideal entry into the world of personalised photo puzzles. The best thing of all is that you get a personalised photo puzzle with the highest quality for quite a low price. Did you know that these 100 puzzle pieces are being cut from the same size cardboard that is being used for the 200- and 500- pieces photo puzzles? 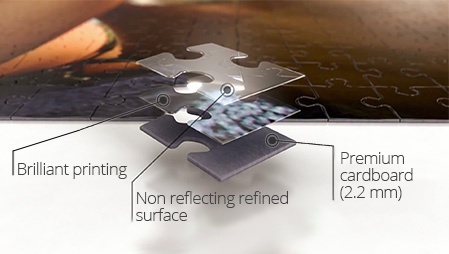 This is the reason why this easygoing 100 pieces personalised jigsaw has the largest pieces of them all, which makes completing the photo puzzle not that difficult anymore, even for unpracticed hands. This means lots of fun for those who do not have any experience with putting jigsaw puzzles. 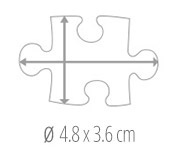 The photo puzzle comes with all pieces separated and collected in a polybag. This bag is inside the chosen puzzle box. Important: Please do take care that your photograph does not have an insufficient sharpness or a deviating tint and be sure that it has not been underexposed. If there should be any doubt about the quality of your picture, please send us the image by e-mail and wait for our reply before placing an order. We will be glad to check your image beforehand. Children love animals - no matter if it is a beloved pet, or a wild one from the zoo. Why not just capture the dog, the cat or a bear and put it on the jigsaw puzzle? The reviews below solely relate to the ordered product and its characteristics. Only customers who have ordered the product actually can post a review. Do you process portrait- as well as landscape photographs? Except from the heart shaped puzzle you may always upload both portrait and landscape photographs. What should I do if I would like to put the completed puzzle on the wall? You may use our Puzzle Conserver to glue your photo puzzle. 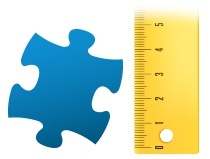 Alternatively you may put it into one of our Puzzle Frames with which it can be put safely on the wall. We will send you an order confirmation containing a green button via which you may check the status of your order. Please do not delete this confirmation. By clicking the green button, you will be lead to your personal status site. On this site, you may find all the information about your order and the actual status of every single item. After your order has been shipped, a tracking number with which you may track the delivery will appear.